Excellent priced 2 Bedroom 1 Bath Top Floor Apartment with Private Roof top Solarium located in Pinada Golf, a short walk to the famous Villamartin Plaza. Covered in terrace, open plan living, galley style kitchen leading to a utility room. Air con and comes fully furnished and equipped to a very high standard. 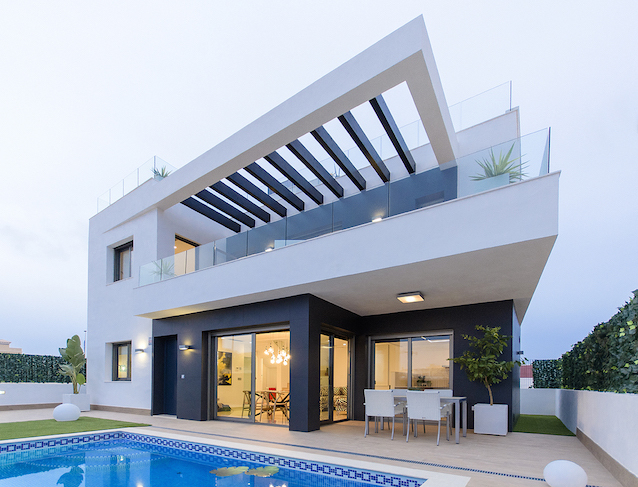 Located within walking distance to all amenities in Los Dolses and also in Villamartin Plaza are these striking new build apartments, which are set in an up and coming area in Villamartin. 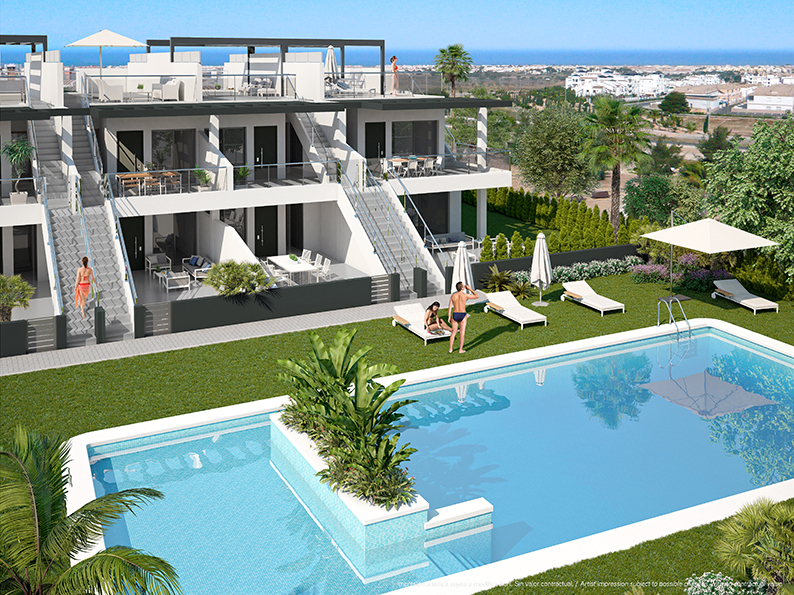 These brand new 3 bedroom, 4 bathroom detached villas with a private swimming pool are located in the popular area of Villamartin, close to amenities, golf and Blue Flag beaches. 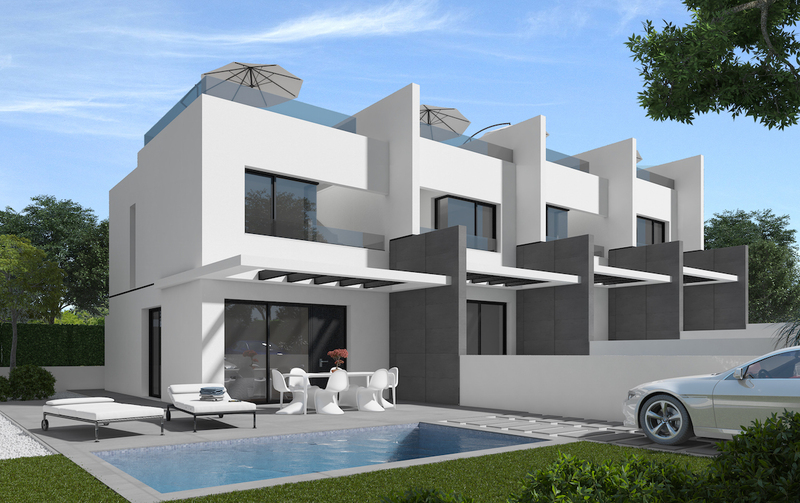 Situated in the popular area of Villamartin, is this brand new development of two and three bedroom townhouses.